Question: when was the last time you saw an Autechre album on a major list? 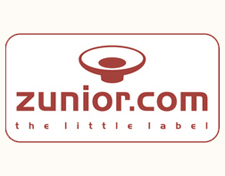 They weren’t on our end-of-decade list and didn’t get on either Pitchfork’s super-sized ‘00s list or their ‘90s list—hell, they didn’t even get into Resident Advisor’s recent list of the decade’s best electronic albums. And why is this? Why, when Autechre are universally exalted, when it’s almost impossible to read a review without a line or two reminding us of their importance and innovation? One answer—admittedly obvious—is that, for all their genius, they’re just not particularly listenable. It’s the same with the Future Sound Of London, another challenging electronic duo from the 90s: I own about fifteen FSOL records and could talk about their music all day, but I can’t tell you when I last sat through any of their albums. Indulging Autechre and patiently paying attention is usually a challenging, deep, and rewarding experience—unless they over-do it and the material becomes a brick wall you’ve no interest in chiselling away at. Oversteps is certainly a lot more digestible and coherent than Quaristice (2008), their scatter-brained previous album, but summer’s arriving and it’s beautiful outside and there’s just no chance I’m going to pick a cold, weird, and difficult album like this as a soundtrack when I leave the house. This is in no way a trenchant criticism, I just don’t particularly want to play it any time soon. The trouble with experimental electronica, and especially Ae, is that most of us are rarely in the mood for hacking through calcified electronics to find the oblique emotional seam buried within. Simon Reynolds memorably wrote of Autechre, “You can’t help wonder if the ‘aut’ in their name stands for autism”—and it’s an appropriate metaphor for the awkwardness and the distance that their music contains. It’s not just an emotional distance: as their career has progressed the band has shed the skin of the 80s electro and techno it grew up on to become something entirely incomparable. 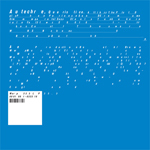 In fact, “d-sho qub” is the only track on this album that remotely resembles conventional electronic music, with something like a 4/4 kick and a synth hook approximating a mutant strain of techno. 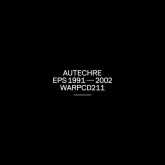 Every other track has no other qualifier except for some other Autechre track, the odd fleeting resemblance to various IDM acts aside. And because of this it can be almost impossible to describe their music in any helpful way—so there’s the crux of it: I like this album but I’m damned if I can tell you why. Sean Booth said something very similar in a recent interview, “We don’t know why we do what we do or why we like it.” Which to me means there’s no grand intellectual concept or complex musical plan underpinning Autechre, at least none that the band is willing to divulge. For what’s labeled by many as IDM, this is very much the stuff of feelings rather than thoughts—feelings, at that, not often pleasant to behold. Overstep’s dynamic is familiar—essentially the same dynamic they’ve been manipulating for the past fifteen years—and is codified right at the start. Opener “r-ess” begins with 20 seconds of awkward silence, and just as you’re about to check that your headphones are still working, reverbed analogue synths begin to creep into the outer rim of audibility. Initially they emerge softly, beautifully, but as their volume rises the reverb becomes increasingly dissonant until the original melody is all but drowned out by the harsh electronic shadows the duo have teased from it. The album predicates on this interplay between pretty, unpleasant, and awkward textures, no clear right and wrong path through it all. On Oversteps the sparkly synths are certainly winning, generally playing in tandem with the harder sounds to prevent any particular track from being frustratingly difficult, reuniting ideas that had been largely compartmentalised on Quaristice so this time around no track is completely melodic, is utterly harsh, or is purely rhythmic. As such, Oversteps is reasonably accessible without compromising any aspect of what it means to listen to an Autechre album, which is the closest I can come to a formula for success when it comes to this band. It’s probably ten minutes too long in the middle, but the distinctive intro is a winner and the last three tracks are worth the trek—“Krylon” in particular is a thing of strange, delicate wonder. 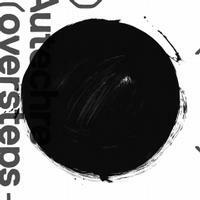 If you’re willing to accept that, at this point, Autechre is not going to make any radical changes to clarifying what exactly all this means, Oversteps is probably one of the best IDM records of the year. Just don’t expect to give it that much credit come year-end.